I love supporting causes that I am passionate about, such as helping protect our lakes and oceans by consuming sustainable seafood. Overfishing is the biggest issue facing our oceans today. The world's marine life is quickly being depleted, with an estimated 90% of all large, predatory fish, including sharks, already gone from the world's oceans. A recent scientific study predicted a world-wide fisheries collapse by 2048. Scary statistic, right? The solution? To turn back from the brink, and to begin consuming seafood in a sustainable manner. This means ensuring that the seafood we eat is caught or farmed in a way that protects the long-term health and stability of that species, as well as the greater marine ecosystem. 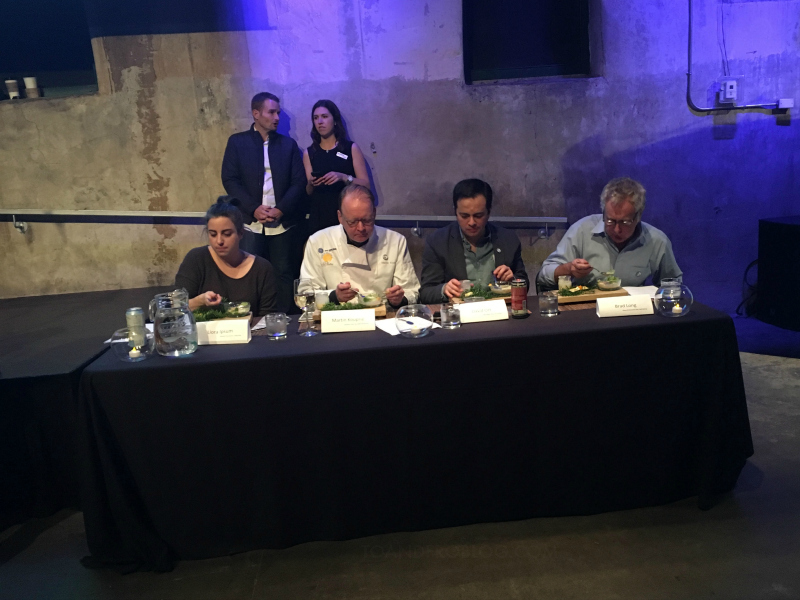 In support of the sustainable seafood movement, Steve and I recently attended the 7th annual Chowder Chowdown at the Fermenting Cellar in Toronto's historic Distillery District. 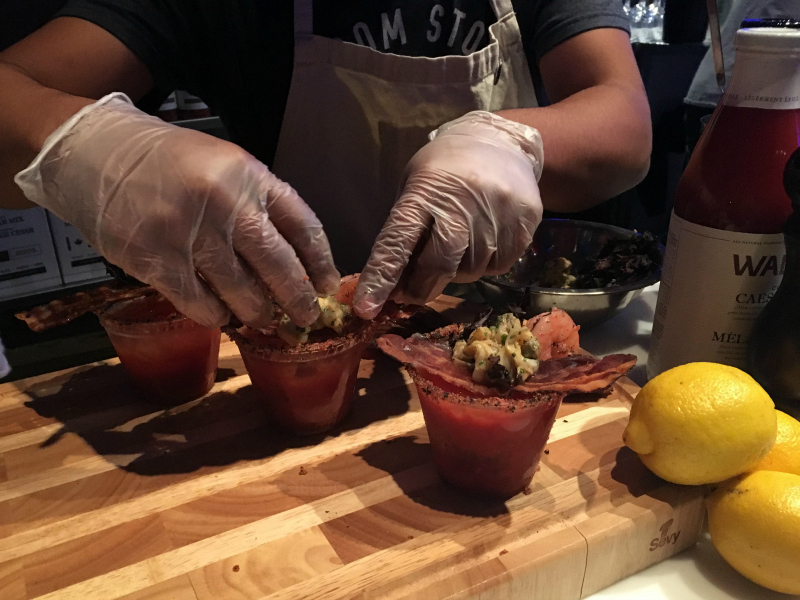 This annual event is put on by Ocean Wise, Vancouver Aquarium's conservation organization created to educate and empower consumers about the issues surrounding sustainable seafood across Canada and around the world. 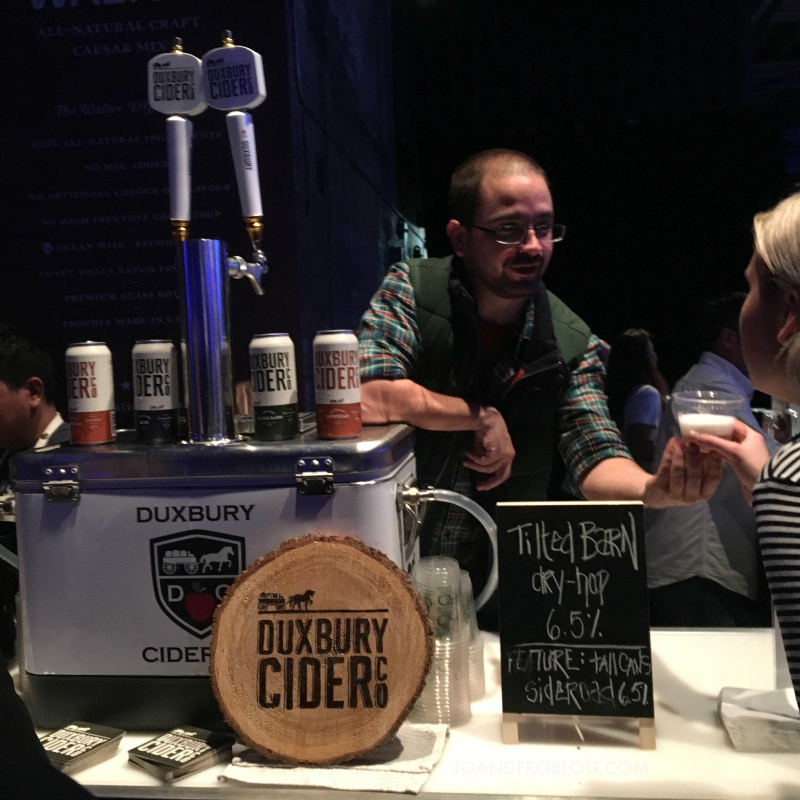 Chowder Chowdown is truly a memorable culinary event where a dozen of Toronto and area’s top chefs go head-to-head for the title of Ocean Wise Chowder Chowdown Champion. Talk about a flavourful way to join the sustainable seafood movement! This was our fourth year attending, and each year it keeps getting better and better. 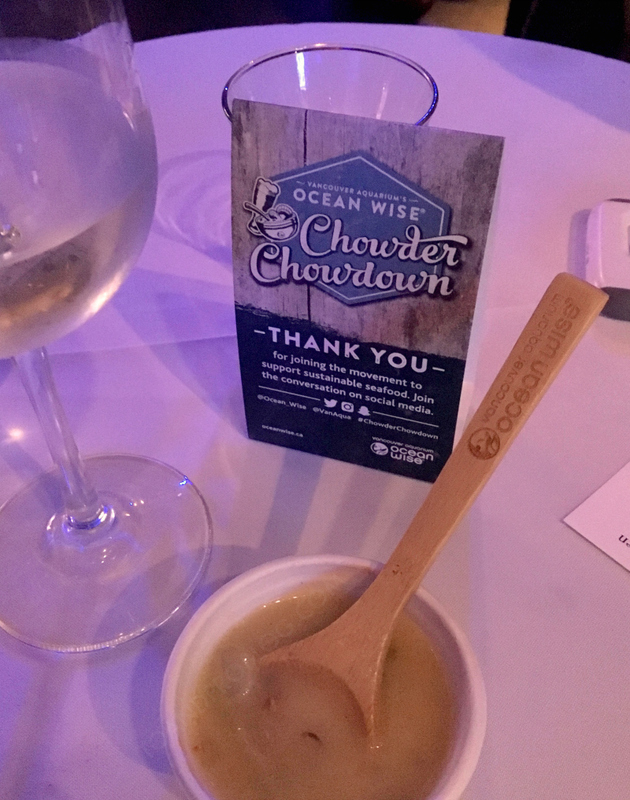 We tasted delectable, original, ocean-friendly seafood chowders made with everything from sustainably caught octopus to shrimp, oysters and more, all paired with local beer, cider and wine, and voted for our favourite. All in support of sustainable seafood and saving ours oceans. We've both had a pretty good track record at picking the People's Choice chowder, but this year we were torn. Steve chose the chowder from the local Leslieville fishmonger, Hooked Inc., and I went with the Canadian meal delivery service, Chef's Plate. Instead, Bruce Wine Bar, a newcomer to the event this year, took home both the Chef's Choice and People's Choice Chowder awards with their smoked whitefish and charred corn chowder. I will admit, it was definitely smoky, delicious, and well deserved. 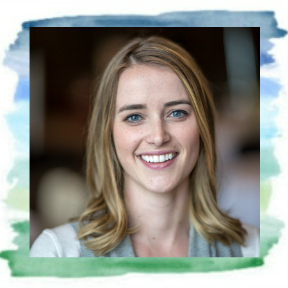 Ocean Wise recognizes the problems our lakes and oceans face and aims to educate and empower consumers about the issues surrounding sustainable seafood. They work directly with restaurants, markets, food services and suppliers ensuring that they have the most current scientific information regarding seafood and help them make ocean-friendly buying decisions. 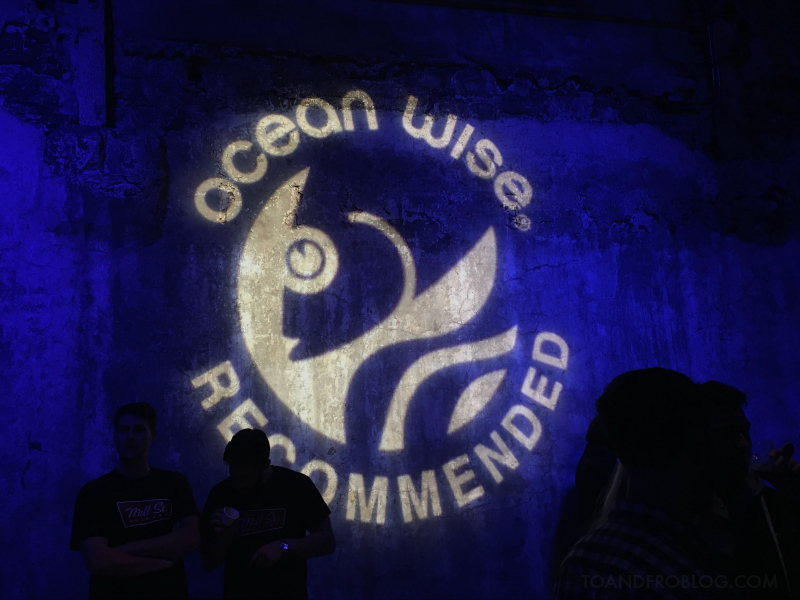 When the Ocean Wise logo is found next to a menu at a restaurant or seafood item at the grocery store, it is an assurance that the item is a good choice for keeping ocean life healthy and abundant for generations to come. With over 675 Ocean Wise partners, spanning thousands of locations across Canada, Ocean Wise makes it easy for consumers to make sustainable seafood choices that ensure the health of our oceans for generations to come. 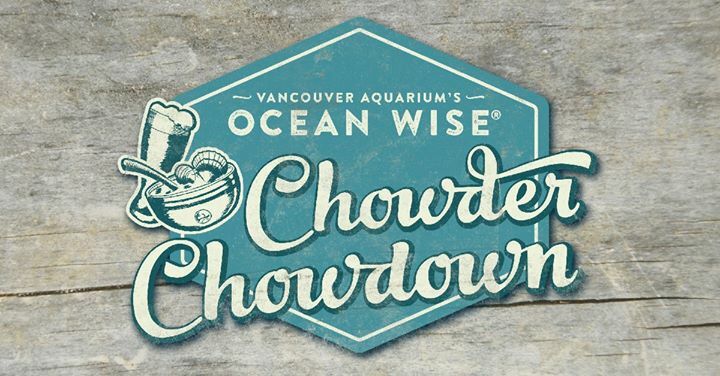 Chowder Chowdown is held annually in the fall in Vancouver, Toronto, Calgary and Halifax. 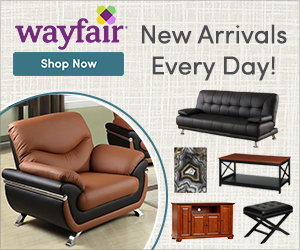 If you live in one of those cities, I highly recommend checking it out! All proceeds from this event directly support Ocean Wise. Learn more about the issues facing our oceans and the sustainable seafood movement here. Download Ocean Wise’s app to check to see if the seafood you enjoy consuming is sustainable! What is your favourite seafood? Is it sustainable? I'd love to hear! I don't love seafood, so I would have to say I'm doing my part by just not eating any! On another note, I went to the Vancouver Aquarium about two years ago, and it was amazing! They definitely have a great program going on over there! This sounds like an awesome event - I love seafood and love the sustainable movement for all products. I'll be sure and check out Ocean Wise. Thanks for sharing!